There’s a reason this is not a video blog. Heat oven to 350 degrees. 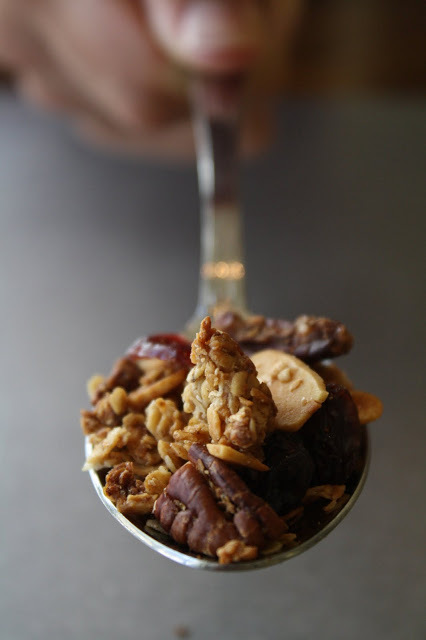 Mix oats, nuts, and dried fruit together in a large bowl. Melt coconut oil and mix together with honey. Pour oil and honey on dry ingredients and stir. Spread on cookie sheet and bake 10 minutes. Stir and bake an additional 5 minutes.